Long, luscious lashes without the daily fuss? Yes, please! Imagine looking your best every day, no mascara required! Xtreme Lash Extensions are individual lash hairs made from synthetic material and/or mink hair which are extremely light weight and natural looking. One by one, the extensions are applied to your own lashes, in graduated lengths, to create full luxurious lashes that you can wear anywhere! After the adhesive has had the appropriate amount of time to cure, you may shower, swim, steam or do any other water activities to your heart's content. Your eyelash expert will let you know about a few restrictions around using additional makeup products containing oils, but most clients report care‑free wear. Application of your Xtreme Lash Extensions takes place in a private room with low lights, quiet music and a down duvet to keep you comfortable. A good service should not be rushed and we book ample time to make sure the application is done properly for healthy lashes. Too much glue too close to the skin, lashes sticking together and other issues can arise from a rushed job. 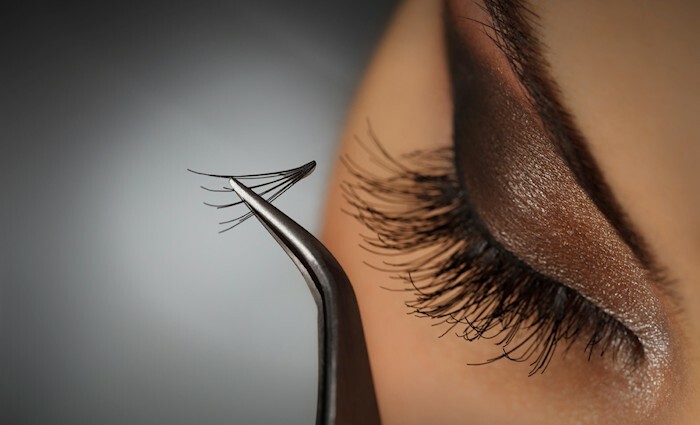 Xtreme Lash Certification is the best training system in the industry, using the best products developed by Jo Mousseli, a registered nurse, following very specific steps. These lashes are simply the best available. Every three to four weeks a refill is required to replace lashes that have naturally shed with your natural lashes. These new lashes are attached to new lash hairs of your own that have grown in during that time between fills. For more information on these lashes and the Xtreme company, go to www.xtremelashes.com.